Welcome to Part 1 of my Skipping Meals series. 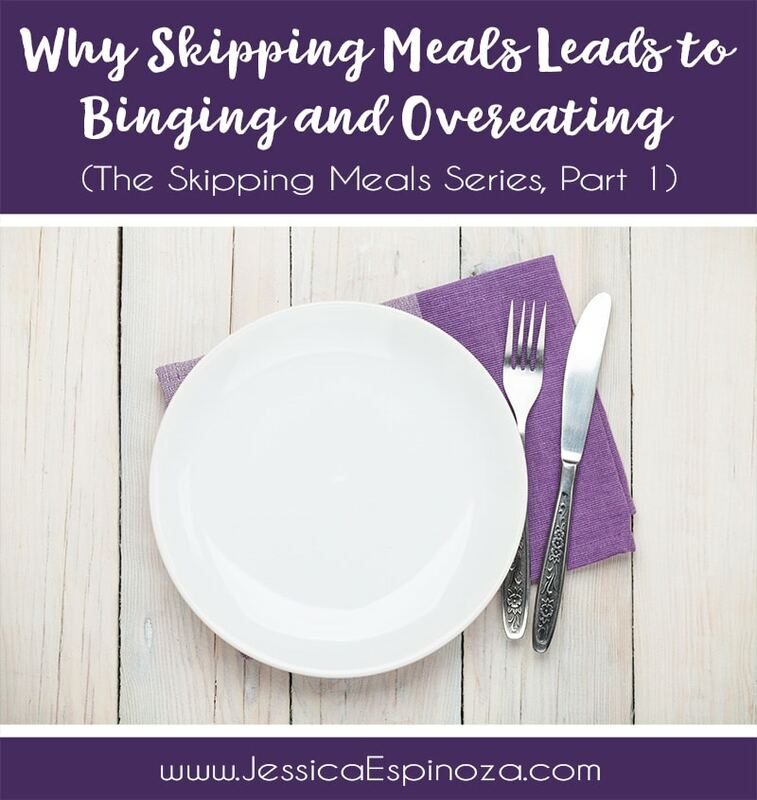 Today, I want to talk about why skipping meals leads to binging and overeating. 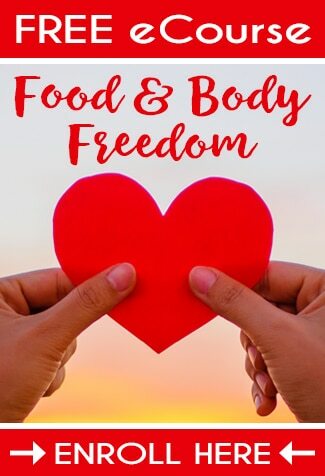 These are areas that I have personally dealt with in my own health journey and I see the same thing come up time and time again with clients and women in my community. I used to be a regular breakfast skipper, relying on just coffee to tide me over until lunch. Food never sounded good in the morning and sometimes I’d feel nauseous at the smell of food. Interestingly enough, there is another common theme that I see in the same women that tell me they skip one or two meals a day. They find themselves overeating at dinner. Sometimes, they eat a large dinner but still find themselves binging late at night after the rest of the family has gone to bed (because there is so much shame and embarrassment stirring up for them around this behavior). Ladies, I am here to tell you that you have NOTHING to be ashamed about. There is nothing wrong with you at all. Your body is doing exactly what it was designed to do (as you will see as you read more below). And my heart goes out to you if you find yourself in this rollercoaster of unwanted food behaviors. 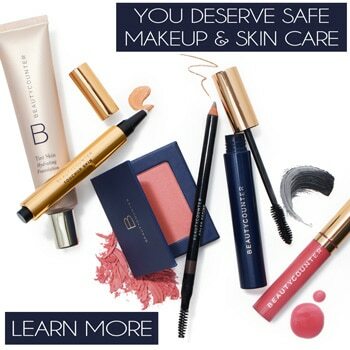 There is a lot we can do to support you and help make those behaviors a thing of the past. Before we dive in, I would love to have you stop and think about how often you skip breakfast on a regular basis. Did you ever consider that skipping meals (especially breakfast and/or lunch) can be a primary driving force in binge eating, compulsive eating, and overeating? Many people don’t make the connection that lack of food in the early part of the day creates a desire by the body to back-load food at the end of the day. While yes, these behaviors around food (binging and overeating) often stem from an emotional place, they also (just as often) stem from a physiological place. And more often than not, there is a combination of both physiological and emotional aspects at play for most women. That’s why taking a whole person, heart-centered approach to these issues is key. We must find a balance between nutrition, heart, and soul. Focusing strictly on nutrition or strictly on emotion will never lead to true balance. Did you know that your brain consumes 20% of your caloric intake per day? It is a very fuel-dependent organ and when it doesn’t get enough food, it will let you know right away. When we skip meals, our brain senses that there is a shortage of food and it goes into famine-mode and triggers starvation prevention procedures. Once that happens, everything pretty much falls out of your control. Once your body switches into starvation mode, it is VERY hard to not give in to the urge to eat, eat, eat. As a matter of fact, many people describe this switchover as putting them in a bit of a trance or out-of-body experience where they feel zero control over their behavior. How many times have you binged or overate and you “wake up” on the other side and don’t even really remember the binge? You will start to crave things like carbs/sugar and fat (or both). You find carbs and fat extra satiating and exciting to eat. This is because the brain actually makes sugar, fat, and carbs taste really good so that you will consume more (remember, your brain is trying to get you to store, store, store calories for the upcoming famine). Biology trumps willpower EVERY. SINGLE. TIME. There’s a lot more science behind this, but in an effort to keep this one article manageable for one sitting, I will cover more of this in future posts. We really like to think that we can control what our brain and body do, but the body has built-in mechanisms that will operate no matter how much we try to “control” it. It’s pretty awesome! The woman’s body is a magnificent machine. And this machine NEEDS fuel! Your body needs food. It needs nutrient-dense, beautiful, satisfying food. Without it (and an abundance of it sometimes), your body cannot heal, your body cannot shed unnecessary weight, your brain cannot function properly, your mind cannot process emotions properly, and your soul cannot thrive. Part 4: Why Does The Thought of Food in the Morning Leave You Feeling Queasy? If you have any questions at all, please do not hesitate to reach out! And always, always, always remember that this is about progress, not perfection. As I’ve spoken about this topic of making sure women eat breakfast and don’t skip meals, I’ve gotten several questions about intermittent fasting (IF). IF is all the rage right now and there are a lot of health experts stating that this is what everyone should be doing for optimal health. I won’t specifically be covering IF in this series, as it’s a totally different can of worms and can be rather complex. I will say that IF is fine for certain people. I consider it an advanced technique and is not suitable for the bulk of the women I work with. Fasting can be tricky for women and if they have adrenal, thyroid, and blood sugar issues going on (and most do) fasting can often make them worse. Some women seem to do well with IF, but I know many, many others who do not. Some do well for a short period of time and then hit a wall/health crash. Some do really well with it once they have regained some of their health. It’s not something I recommend to anyone right out of the gates.